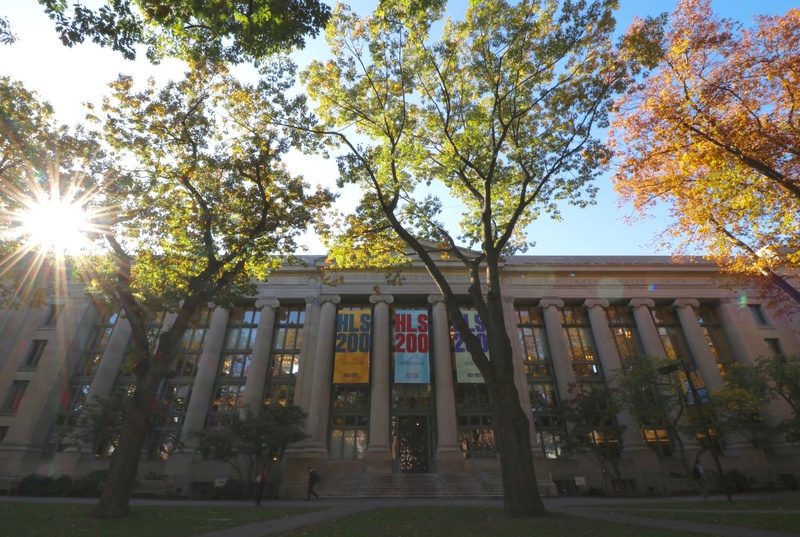 Harvard Law School has rolled out a new suite of advising and mentoring programs. Harvard Law School is expanding its advising and mentoring programs four months after a school task force studying diversity and inclusion released a report calling for more advising opportunities on campus. One new program establishes advisory relationships between students and the professors leading their reading groups—specialized classes that focus on one particular topic and are not taken for credit. Previously, students received advisers more randomly with no guarantee that their assigned faculty adviser specialized in their area of interest. John F. Manning ’82, the school’s recently appointed dean, said the Law School changed its policies to foster more organic and effective advising relationships between students and faculty. Former Law School dean Martha L. Minow commissioned a task force on student engagement in August 2016 after students staged a series of protests calling on the school to acknowledge its ties to slavery and enact more racially-conscious reforms. When the group released its findings in July 2017, it specifically called for improved advising opportunities. I. Glenn Cohen, a Law School professor who leads student reading groups, said he thinks the new advising program will help connect students with mentors and advisers more likely to share their specific interests and are more capable of answering their questions. “The reading group topics are connected to areas the students may be interested in, and by having the reading group instructors serve and be advisors for the students, we’d be more likely to get a match between what a particular student’s interest is and what the faculty member’s expertise is,” Cohen said. Manning said the new program has already had a measurable effect. He said both the number of students participating in reading groups increased, as did the number of professors who signed on to teach these courses. He added that only 20 students in this year’s first-year class chose not to sign up for reading groups. Marcia Sells, the Law School’s Dean of Students, said the school also instituted a program for students to take faculty out to dinner with all expenses paid by the school, similar to the College’s Classroom-to-Table program. In addition, administrators created a new peer advising program, she said. “We said to [the peer advisors], ‘You are a resource to them, plan a time to meet with them and talk—they didn’t have to take them out to lunch—but just to be there as a sounding board,’” Sells said. Sadie Hillier, a first-year student at the Law School, wrote in an email that she thinks the new faculty advising program is very helpful. She wrote that she thinks she got “lucky” with her reading group and advisor, Law School professor Michael J. Klarman. “I've been provided with an abundance of mentorship opportunities in the last couple of months, and I have seized onto every single one,” Hillier said. Still, David Sackstein ’14, another first-year student who said he was in Cohen’s reading group, said that he fears some people may not get the resources they need despite the new programs.